NexgenT3 Software Services provides an accuracy well beyond any software I’ve either purchased or reviewed in the past. Heads up on whats happening and where the market is expected to reach and even turn. The key to success with the software is a matter of choice. Are you willing to put in the hard work and time? 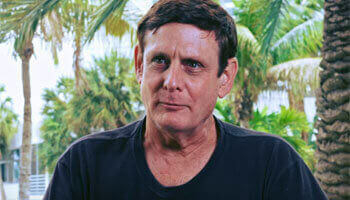 John Novak provides a road map and trading plan to follow. In addition he provides an educational trading room giving each trader feedback on each trade they take. His technical support is available on the spot each and every day. Those that put in the time and follow the instructions succeed, 100% of the time. 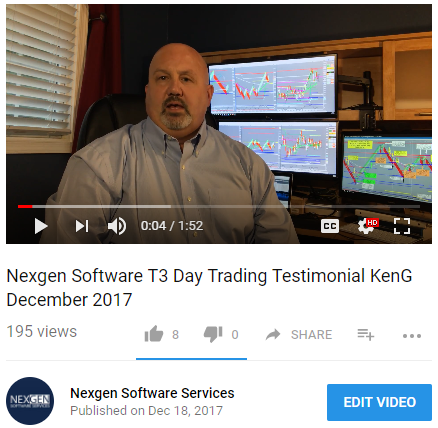 Myself like many of the traders using NexgenT3, have had the software for well over 10+ years and have never looked back. that Nexgen’s goal is to not only have a satisfied customer, but a successful one. II started using the Nexgen software with absolutely no experience in the world of trading. Within a short period of time I was able to tell that the use of this method of training gave a novice, like myself, an opportunity to trade in a relatively short period of time. But has a learning curve, where with experience and time, someone can to truly take advantage of the tools that Nexgen offers them. It is immediately evident that trading as a whole is not something that is simple and at not reap immediate rewards. With that being said, John Novak (the creator of Nexgen Trading Software) and his team have put a well-oiled and constantly evolving system together that prepares you to take on the challenge of trading future commodity and option stocks. This is evolution is best displayed in the upgrades of the templates, educational page and releasing of new educational videos. I think the detail with which John and his team lay out their educational page is particularly impressive. Not only does it give you educational information on how to use the software, but it also assists you in putting together a well thought out trading plan. It even comprehensively goes over how to use the Ninja Trading platform and other miscellaneous details one may need. 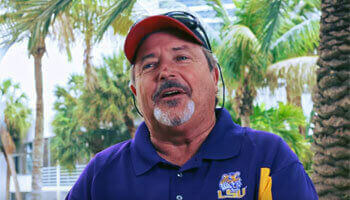 All of that combined provides someone with more than enough detail to be a successful trader. And if that is not enough, John holds classes every weekday for 3 hours helping you understand how to navigate the market. If a person is to set realistic expectations for their results of the software’s performance, they should be pleased with the outcome that they receive. A potentially under-appreciated benefit that Nexgen offers is its tight knit community. That ranges from our brazen teacher John Novak, to the staff members/employees who are there to assist you with various things that you may need, as well as the other members that have purchased the software and participate in the classroom. It truly never feels like you are alone in this experience. In summation, I think Nexgen is a comprehensive trading system/software with a passionate crew who is always there to help you. Most day traders “never achieve profit-making status,” according to the SEC. That’s because day trading is hard. Spending lots of money on software and pouring countless hours into learning the analytics will only guarantee two outcomes: you’ll have spent lots of money and you’ll have learned some analytics. Those factors alone will not equal success. To succeed, you’ll also need a plan that you’ve successfully tested, along with the discipline and perseverance to follow that plan even when a string of inevitable and unavoidable losses occurs. To be blunt, most people “never achieve profit-making status” because day trading is a brutally tough business. 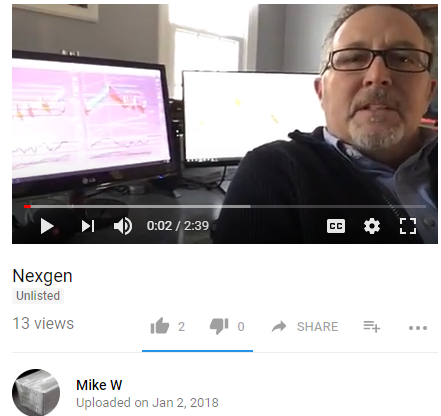 If, in spite of that warning, you decide to commit your valuable time and hard-earned money to trading, then I recommend you take a serious look at Nexgen. First, they’ve packaged what is likely the most powerful single trading indicator on the planet into their platform: Fiboncacci. Do your own research on Fibonacci, but I’ve followed “fibs” for years and can personally attest to their undeniable power. If I was limited to only one trading indicator, it would be Fibonacci. Nexgen’s software does the heavy-lifting of calculating Fibonacci confluences across multiple timeframes with the effect of amplifying the power of this already-remarkable tool. The Nexgen package is also synergistic in its inclusion of key moving averages (i.e., bands and trigger lines) across multiple timeframes which enhance the power of Fibonacci and provide a “one-stop shop” approach to market analysis (i.e., one chart per instrument is all you need). Anyone who’s traded long enough understands the power of the multiple-timeframe approach, and Nexgen’s software captures this key dimension of trading with a reasonably simple interface. The upshot of such syngerism is the ability to stack odds in your favor. Trading is about probabilities, not perfection, and Nexgen lines probabilities up better than any software or trading system I’ve ever used. Inherent to Nexgen is the built-in benefit of superb risk-reward potential. There is no reason that anyone trading Nexgen software should have less than 1:2 default risk-reward (I currently use 1:5 as my default). If you’ve ever traded a 1:1 system (or inverted risk-reward), as I once did, you know how demoralizing it can be—one step forward, two steps back, etc. In addition to favorable risk-reward, a consistent winning percentage of >50 is entirely realistic. Finally, I recommend Nexgen because I perceive that they are serious about their students’ success. In addition to being an excellent teacher and communicator, John Novak (the founder) epitomizes patience, though he won’t spare tough-love when it might improve a student’s performance. To your great benefit, John is also inflicted with the “happy-but-never-satisfied disorder,” which means he continues to push the software to new heights. Bottom-line, if you decide to proceed with trading–in spite of the warning above–then start and end successfully with Nexgen. If you can’t succeed with the software and mentorship they provide, you probably won’t be able to succeed anywhere else. Jason – I want to thank you for your help this morning. I really appreciated the great technical support. Your quick response time is always noted…. As you well know, I use NT & TS for my trading decisions and find your product for both platforms an integral part in that decision making process. I couldn’t trade without it…I have always appreciated your help in the past and I consider you a good friend…as the entire NEXGEN Team! I hope 2019 is good to us all…but particularly to you, your family and the team at NEXGEN. With your work ethic and customer driven service, you continue to make NEXGEN the outstanding leader that it is today. I think the staff that John has surrounded himself with is/are very special and I appreciate all of the hard work that each one of you do for your clients. After being an equity trader for over 15 years, I finally discovered Nexgen Software Services. 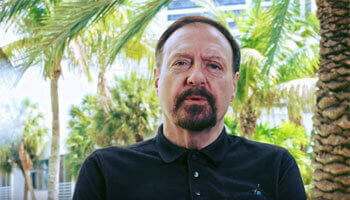 The T-3 Fibs Pro Trader and John Novak’s team work hard to make sure you are a successful trader. All the education tools are provided and constantly, improved, and refined to insure your success. The automated software, (Fibonacci) will give you the truest trading signals out there. It will change your life if you take the time to learn the system, all the tools are provided for you! You will also be meeting a whole world of successful traders every day online trading the system in real time. Thanks John for your continued dedication to our success! What makes all the difference with NexgenT3 is that they are never satisfied and are always working to improve a great product. With the NexgenT3 software you get a great tool for pinpointing entries and exits in the markets and you get the education to really show you how to maximize its use. I have been using the software over 7 years and haven’t seen another trading system as effective as NexgenT3. As with anything worthwhile, it requires some dedication to learning how to use it. If someone is serious about learning to trade or taking their trading to the next level NexgenT3 is second to none. This is hands down the best educational and training software on the market period. I have been trading for over 13 years and I learn something new everyday. They have a moderator discussing trade setups, and explaining what the market is doing or might do next. Nexgen software is perfect for the person trying to learn what the market is all about. I have purchased multiple platforms over the years and nothing holds a candle to T3 and I use it every every day. I can’t thank John and his team enough. I wanted to learn how to trade, so I started my search to see what programs were out there. about trading, this program, NEXGEN T3 has taken me by the hand & opened the doors to a whole new world. It offers everything a trader could want, the best training rooms tech support dedicated team members who willwork w/ you, even on a 1-to-1 base so you can reach whatever goals you have. Thank You John Novak for this complete program & the dedicated members of your team. Like many I had a background in trading stock. I used fundamental analysis and candle patterns with small but reasonable success. Then I discovered Nexgen T3 ProTrader Fibonacci Trading Systems. It used indicators for technical analysis which allowed me to eliminate the time consuming fundamental analysis and immediately got my success percentages up. John Novak set me up with the system and education to use it. It took only a short time to see its efficacy and I bought it. Compared to the tremendous cost of mentoring it was cheap. Of most importance John Novak and his staff are committed to constantly refining and perfecting a technical analysis and education trading system that is the epitome bar none. If you want to be a successful trader this is your vehicle. Nexgen is a Fibonacci based software that identifies support and resistance in any trade able market. Continuous education is included. 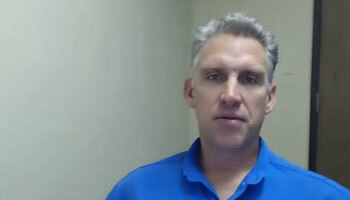 The inventor and CEO, John Novak, is committed to your success as a Nexgent3 trader. I would highly recommend the software. I have been using T-3 Fibs ProTrader for over 10+ years. This is the best Fibonacci-based software I have used! 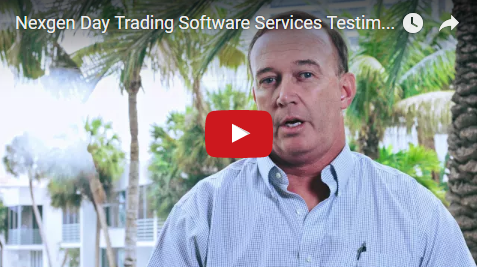 John Novak continuously works to improve upon the software to make anyone a successful trader IF you approach it like a business. Do not gamble with your money, learn the plan and the rules and practice until you are successful on simulator , then trade real money. 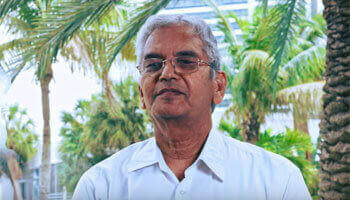 I am a 67 year old retired CPA and programmer, and, although I had made money investing in the equity markets, I had never day traded in my life, in any markets before using Nexgen Software. My assets: I can stick with something worthwhile, and, eventually, I can learn it. Everyone at Nexgen helped me, starting with the CEO, John Novak. 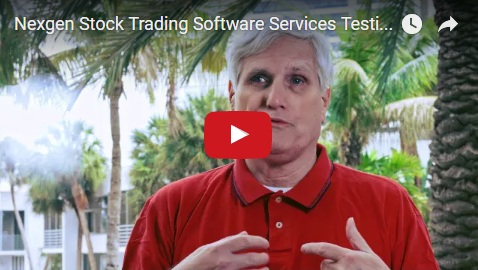 John is determined to make the best trading software in the world, and have the best staff possible to teach you how to use it. It’s hard for me to imagine that all of the necessary ingredients for success could exist to this extent at any other Company. T – 3 Pro-Trader is learn-able for trading Fibonacci Resistance and Support Confluence Areas, and many other vital indicators which direct you within the entire market you’re trading, and help you determine where every entry should be made and every entry should be closed. I bought T -3 after four days of a Trial Period. Should have bought it on day 1 “have your credit card ready”. Then, do everything Nexgen tells you to do. Success is possible.